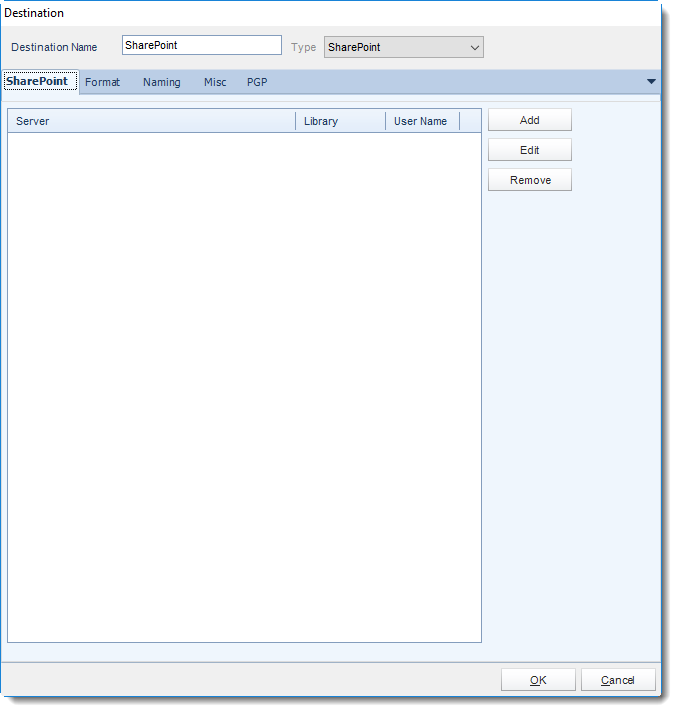 How do I set up a SharePoint Destination in SQL-RD? Deliver your SSRS reports directly to SharePoint libraries and folders. In the Schedule Wizard, go to Destinations. Click Add and select Sharepoint. 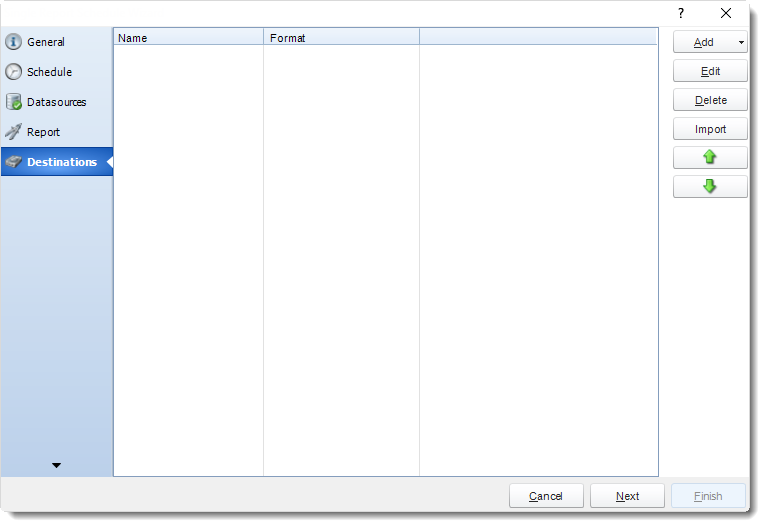 Exporting to SharePoint allows you to deliver report output to a SharePoint Library. You can also select a configured location and click the Edit or Remove to edit or remove the destination respectively. Click the Add to specify a location to export to. SharePoint Site: Enter the path for your SharePoint Site. Domain/Username: Enter the Domain and username required to connect to the site. Password: Enter the password for the username specified above. Click Connect to connect to the site, once connected you can browse and select the SharePoint Library and path to export to. Click OK to save the destination. For information on format tab, click here. For information on naming tab, click here.